The best way to remember the Holocaust is not with a hashtag! You are here: Home / Antisemitism / The best way to remember the Holocaust is not with a hashtag! On January 27, the whole world will be invited to remember the atrocities committed by Nazi Germany during the Holocaust by observing International Holocaust Remembrance Day. This is an anniversary that was set-up by the United Nations and is different from the yearly Yom HaShoah (Day of the Catastrophe) that takes place in Israel in the spring. While I find much bias in how the UN views and portrays Israel, I must commend them for recognizing the Holocaust. We live at a time of history nearing the complete extinction of all the remaining survivors of the Holocaust, as most of them are now in their mid-eighties at least. The motto of “NEVER AGAIN” arose soon after the closing of World War Two and has been the on-going creed of all those who want the Holocaust to be remembered. Recently, people have been even more creative in prompting, challenging and encouraging others to remember. This year, the World Jewish Congress wants to reach 500 million people globally, who will post the hashtag #WeRemember or #IRemember on a multitude of platforms on the social networks. Hashtags are a very powerful way to express an idea and make it attach itself and multiply itself on the web like nothing else can. In and of themselves, they are not bad, but they can have a tendency to become counterproductive. Many people around the globe will post pictures of themselves with a sign showing the hashtag, and they will feel good about themselves. They will get a feeling of righteous indignation against hatred. They will feel like they are part of a broad community of people holding virtual hands to speak up against the Holocaust and antisemitism, and in a small way, they will be, but for most, the remembrance will dissipate soon after. Hashtags are a good starting point or a good addition, but if we truly want to remember–And now more than ever is the time to do so– we should opt for other ways of looking at the Holocaust. As permanent as a hashtag can become on the web, it is very ephemeral in our minds. There are other options that will leave an indelible memory in all of us, and we should explore them if at all possible. Listen to a Holocaust survivor: Their number is dwindling down very fast, but there are still ways for many of us to get first-person accounts of the horrors of the Holocaust. If you know such a person or have an opportunity to go listen to one, do not hesitate to go and listen. 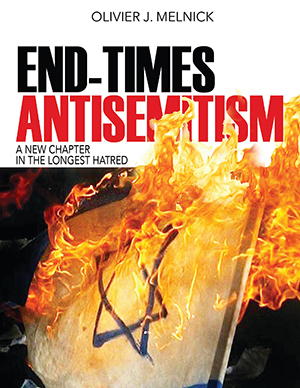 Their stories vary from one to the next, but they all are a testimony to the problem of evil within mankind and the deep hatred for the Jewish people. For many of us, it can be challenging to meet one in person. The closest thing to a physical meeting is a video testimony. The powerful work of the staff at Shadows of Shoah brings many testimonies from survivors on video, and by virtue of that medium, renders their unique stories eternal. Additionally, the Steven Spielberg Shoah Foundation has over 54,000 video testimonies of survivors that are there to stay. Every single one of them is poignant and memorable in its own way. 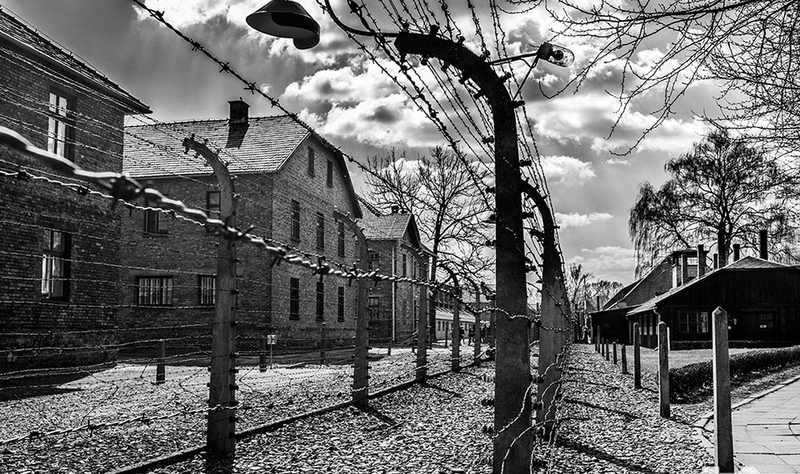 Visit a Death Camp: In 2010, I had the opportunity to travel to Krakow, Poland and visit the remains of Auschwitz-Birkenau. This meant a lot to me since my maternal Grandfather Maurice Weinzveig was taken there by the Gestapo, from Paris in the Summer of 1942. Walking alongside the empty barracks in the cold of winter, left a mark on my psyche. Had Maurice spent time in any of them or did he die on the train or the gas chambers upon arrival? I will never know. The Death Camps are gruesome and eerie monuments left over from one of the darkest periods of mankind’s history. If at all possible, everybody, and most definitely every Christian should walk through one of them once in their lifetime. Visit a Holocaust Memorial Museum: There are many such edifices that gather artifacts, photos and videos from the Holocaust. They make the events of the Jewish Catastrophe more real and tangible. The biggest and most elaborate of them–Yad Vashem–is located in Jerusalem. It is a difficult visit punctuated by visual and audio markers that will undoubtedly leave an impression on you for many years, well beyond the posting of any hashtag. There are several Holocaust Memorials closer to home in the United States. The United States Holocaust Memorial Museum in Washington D.C. or the Simon Wiesenthal Center/Museum of Tolerance in Los Angeles are just two of the most impactful and fruitful in their respective communities and nationally. The list is much longer and warrants several different visits if possible. Read an account of the Holocaust: There is a tremendous global collection of Holocaust literature. From survivors’ accounts to biographies, historical accounts and even poems. Every human being should read the short but life-altering account of Elie Wiesel’s time at Auschwitz-Birkenau with his father when he was only 15. As told in his autobiography Night, his story of resilience and survival against all odds is very dark. Another powerful account coupled with a symposium from famous survivors is found in Simon Wiesenthal’s The Sunflower. A detailed and accurate account of the Holocaust can be found in Lucy Dawidowicz The War Against the Jews or in The destruction of the European Jews by Raul Hilberg. Any of these options or all of them if possible will work a lot further than a clever hashtag. The Holocaust cannot afford to be relegated to a single string of two or three words. We are minimizing the gravity of the event by posting hashtags. The virtual remembrance that is brought by the clever use of a hashtag will quickly become empty without the personal experiences, stories and accounts that can be lived through survivors, camps, museums and literature. Since most of us were not there in the camps and probably not even born at the time, what are we really saying when we say #WeRemember? At the very least, we ought to listen to the few survivors introduced on Shadows of Shoah , and then we can honestly say that we remember what they shared. It is our duty as human beings to remember the Holocaust, share its history with the future generations and speak-up against those who deny that it ever happened. The best way to do all this IS NOT just with a hashtag!